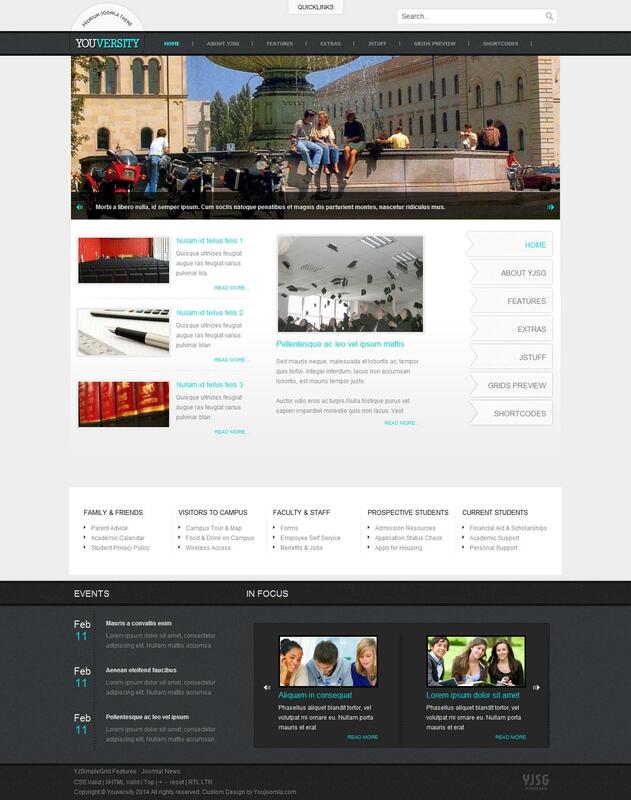 YJ Youversity - visual and functional template from the studio YouJoomla. Perfect for a site or university art school. The structure of the archive includes QuickStart YJ Image Slider, YouVersity and News Slider. The template has 4 beautiful style and custom style K2. Also comes with 5 built-ins slider panel for more compact storage material. SEO template uses functions in all modern browsers, has 52 module positions, 4 CSS style, smooth dropdown menu, split menu, the compression on the server side, additional printing styles, adjustable width. Corporate framework studio Rock Solid Framework provides full code optimization, cross-browser support and fast download speed.